As Northern Colorado has grown, so too has Wellington. What was once a small farming community has become a satellite home to many people who work in Fort Collins, Loveland, or Greeley. Father & Son Painting is a local painting company that paints houses, commercial buildings, farms, fences, and much more in the town of Wellington. We have been located in Northern Colorado since the beginning of our company more than 30 years ago. We started serving Fort Collins and Loveland, and have expanded our service area to include all of the Front Range and towns on the eastern plains. This includes Fort Collins, Windsor, Loveland, Wellington, Greeley, Eaton, and everything in between. Quality is our primary concern, which is why we use only Diamond Vogel paint for all of our painting jobs. This includes interior paint and exterior paint on any type of surface. Our paint is always long-lasting and will ensure that you won’t have to worry about new paint any time soon. 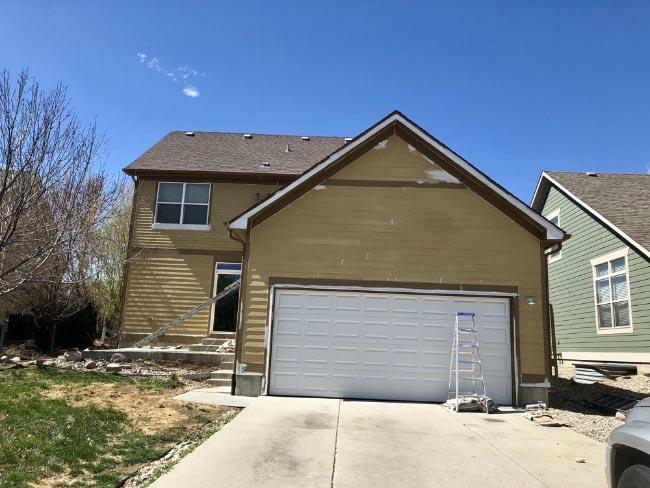 Father & Son Painting is proud to be the best choice for a local paint company in Wellington, CO. To set up a consultation or get an estimate, please fill out our contact form or call us at (970) 225-0968.